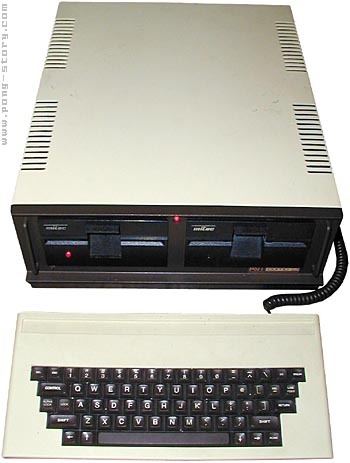 This obscure system is Apple II compatible (hardware & software), hence the "Comp2" name. The Comp 2 has 64k RAM that can be expanded up to 1Mb through 256k cards. A Z80 (4 or 6 Mhz) board was also available and enabled the use of CP/M. I have an AVT2 computer without the disk-controler card. But I used instead an Apple II disk-controler card and it works well ! I then tried several Apple II games, and they played well too. This system seems indeed hard & soft compatible with the Apple II. see more AVT Electronics Comp 2 Ebay auctions !